Can you name the best basketball player or golfer in the world? How about the best actor or musician? The best president or business person? Even if it’s your opinion, you can probably name somebody in most of those categories. Now…name a person who is the best at 2 of those things. Someone can be very good at many things, and a select few people may even be able to be the “absolute best” at more than 1 thing. But it almost never happens. 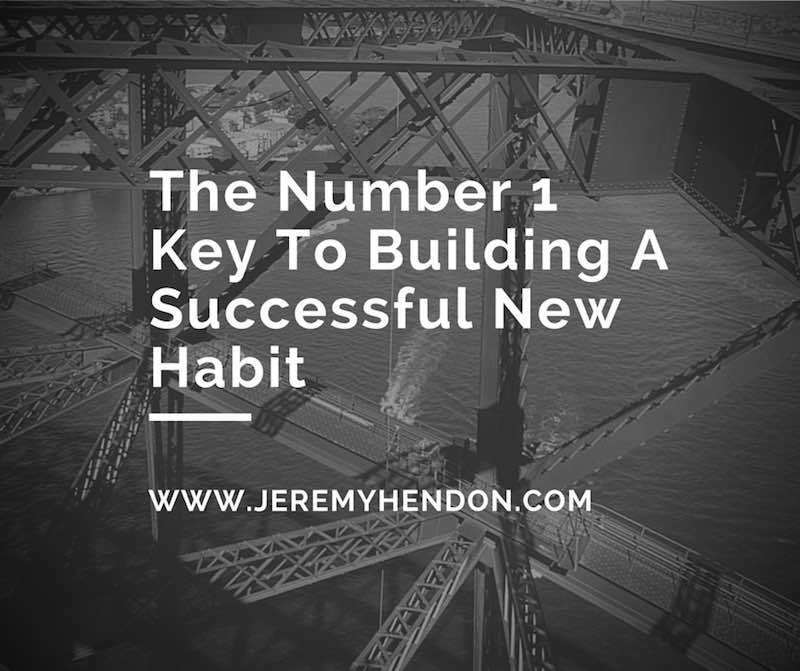 This article explains why building habits is very similar to becoming the best in the world at something. In addition, I’ll show you how focus will revolutionize the way you approach weight loss, your health, and your life. In various surveys, about 70% of people tend to rate themselves as “above-average” at multi-tasking. Ignoring the fact that it’s statistically impossible for 70% of people to be “above-average” at anything, it’s nonetheless striking just how good we think we are at focusing on more than one thing at a time. This is especially interesting in light of the fact that there is a very large body of scientific evidence showing that nobody is good at multitasking. So although multitasking might make us feel better, it inevitably makes us less productive (usually much less productive). In other words, you might think you’re getting a lot of things done at once, but you’re almost never being as efficient or productive as you would be if you focused on tasks one-by-one. In other words, multi-tasking is not beneficial and is often harmful to your goals. 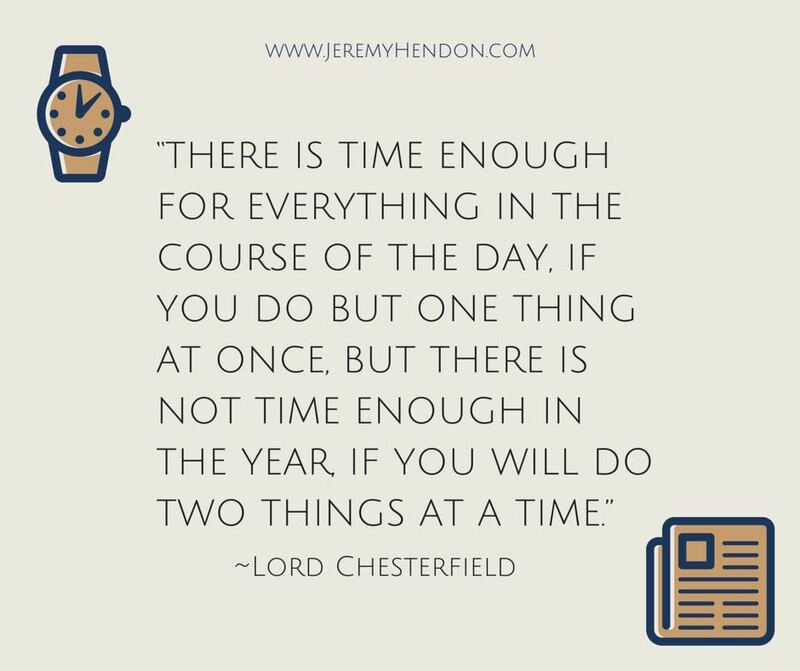 Doing 1 thing at a time may not be as satisfying initially, but it’s far more rewarding and effective in the long run. Turns out, this lesson is particularly important when it comes to building habits. The number 1 key to successfully building a habit is to focus on just 1 behavior to the exclusion of others, and to make that behavior as small and specific as possible. Hone in on the smallest, easiest, and most repeatable part of your goal or behavior. For example, if you want to lose 100 pounds, one way to approach that goal would be to work out for 2 hours every day and to eat only salads all day. But chances are, you’ll quickly become burnt out, disillusioned, and frustrated by your lack of progress. In fact, you’ll probably just quit altogether in a week or 2 (if not sooner) because you can’t keep up that pace. A better approach would be to commit to doing just 2 pushups every morning (as an example). That would be MUCH easier to accomplish, even on days when you’re rushed or tired. After all, it’s ONLY 2 push-ups. This is a lesson that took me FOREVER to learn. And yet, there was no change that made me more successful at creating habits. As humans, we tend to dramatically over-estimate what we can do in a day and dramatically under-estimate what we can accomplish in a year. Building healthy habits is no different. If you want to transform your body, your mind, and your overall health, then, by and large, it’s not going to happen in a day or even a month. You will see progress month-to-month, but real and lasting transformations take much longer. If you were trying to chop down a huge tree with an axe, you wouldn’t try to knock it down with one or even two swings. You would chop a little bit of the trunk off at a time. Also, if you had 100 trees to chop down, you wouldn’t take one swing at each. You’d start with one and stick with it until that tree fell. Humans are inherently bad at multi-tasking and focus is critical to success. The way that this plays itself out is that you absolutely must focus on putting just one habit in place at a time. If you tell yourself that you’re different and that you can put 2 easy habits in place at a time, it’s going to backfire. How do I know? It backfired on me for years. And looking back, I really wish that I’d used those years putting 9-12 habits in place (one at a time), rather than trying (unsuccessfully) to put 20-25 habits in place all at once. Personally, I know that you might read this article and then go and try to create multiple habits anyway. It’s human nature, and I’m ok with that (after all, there’s nothing I can do about it if you choose to do that). But if you put this tip into action, then congratulations. You are light-years ahead of where I was, and your progress will be greater than you can imagine. AGAIN – CREATE JUST 1 HABIT AT A TIME. Most of the reason that it took me so long to be successful even at putting one habit into place at a time is because I wasn’t able to appreciate just one habit. There were many days where I would accomplish my habit. But overall, I might not get a whole lot else done that made me feel great about the day. I was basing my sense of self-worth and progress on whether or not I was accomplishing great things on a daily basis, rather than getting any enjoyment or satisfaction out of the habit that I was cultivating. I was putting the habit into place because I was convinced that it was very important for my life, and yet I still felt like I wasn’t accomplishing very much. If you can put a habit into place so that you don’t have to think about it any more after 30 or 60 days, then you’ve done something that will last as long as you want it to. (You might need to re-cultivate the habit from time-to-time, but that’s much easier than initially creating the habit). The most important thing is to focus on 1 habit at a time, but it’s also critical to develop an easy habit. Eating healthy, exercising, de-stressing, and pretty much everything else related to transforming your body are all pretty tough things to do. If they weren’t, then we wouldn’t have the obesity and health crisis that we do have. First, you must set a very low limit that you’re aiming for. This limit can be a length of time, a number of repetitions, an amount, or pretty much anything that will signify when you’ve completed the habit. For instance, you might want to form a habit of running every day. But how do you know when you’ve completed that habit? Is it when you take your first running step? Or is it when you’ve completed a marathon’s worth of running for the day? Running is an easy habit to limit, because it’s something that you can time. If I wanted to put a running habit into place, then I’d limit it by saying that my habit is going to be to run for 2 minutes every day. Why 2 minutes? Well, I picked the number arbitrarily, but the reason that 2 works is because it’s an absurdly short amount of time. You will almost never have a day where you can’t spare 2 minutes to go run, even if the whole endeavor (putting on your shoes, getting out the door, etc.) takes you 10 minutes. You also won’t have many days when you’re so tired or unmotivated that you can’t get yourself to complete 2 minutes. The secret is to set a limit that it’s almost impossible not to complete. If it’s time, I always make it under 5 minutes, and usually just 1 or 2. If it’s a number of repetitions (say with pushups or squats), I usually make it 5 and sometimes 10. If I want to work more kale into my diet, then I commit to eating 2 bites per day. It probably doesn’t seem like it’s going to be hard to set a low limit for your new habit, but it’s more complicated than you think. The reason is, on days when you’re not motivated, you’re going to ask yourself what’s the point of even completing 2 minutes or 5 reps? And if you’re asking yourself that question, then you’re probably not going to complete even that lower limit. The solution is to adjust your thinking now, when you’re very motivated. And this is something for which there are no tricks or shortcuts. You simply need to mentally commit (and commit in writing) to the fact that putting a tiny habit in place is better for you long term than failing to put a big habit in place. In other words, you need to make a decision to be satisfied with just 2 minutes or just 5 reps. In the end, you probably will do more on most days, but it needs to be enough that you get the lesser amount done on some days. Even pro athletes have days where they do an incredibly small amount of overall work, usually because their trainers/coaches know that their bodies or minds can’t handle a rigorous workout every single day. You are no different. Those days will come, but when they do, you need to be a pro in the sense that you must accept that a small amount of work is better than no work at all. Momentum is everything. I hope this article has provided you some insight into how to build your own healthy habits.